As a kid, I always loved Legos. My dad insisted on short hair and brown leather lace-up shoes for my sister and me. I never wore a single dress in high school. I don't particularly like sappy movies or chick flicks--give me a good spy thriller any day. I didn't have any daughters; I have three sons. So, why is my favorite color pink? Boring, scuffed, peeling. But hit it with my favorite color, pink, and it takes on a whole different persona. 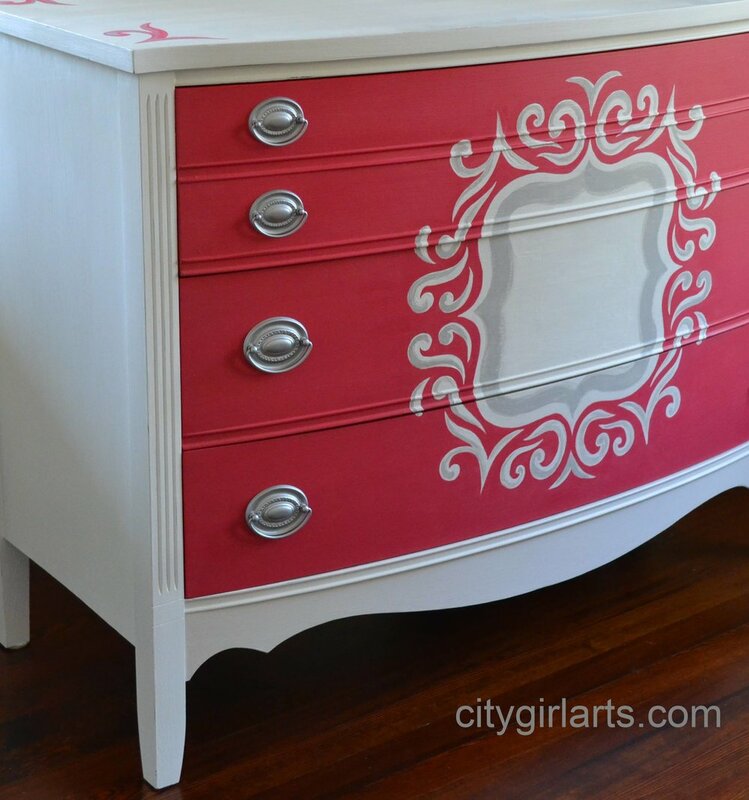 Add a quatrefoil, hand-painted white swirls shadowed with grey, a spot for a monogram, and it's almost irresistible. 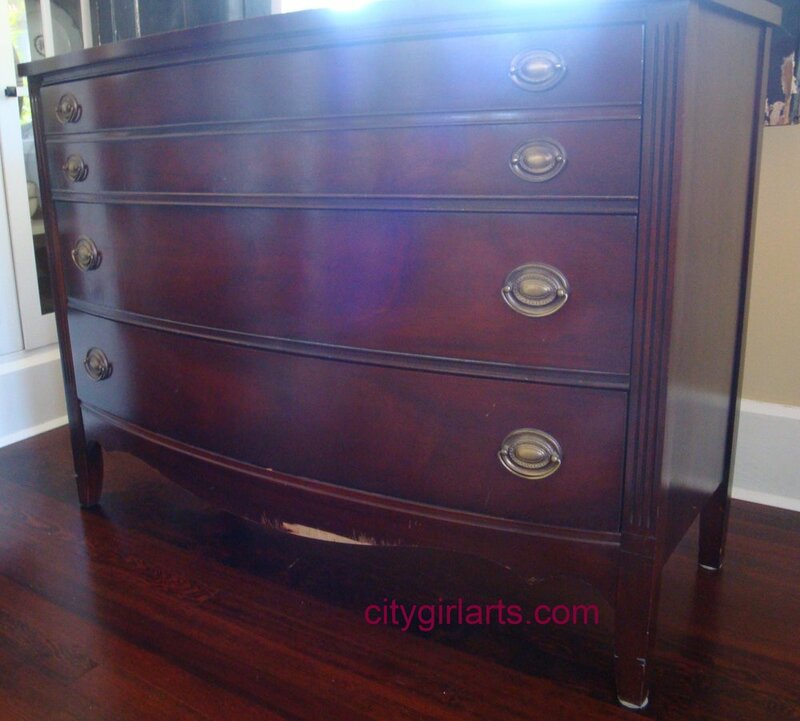 What lady, young or old, wouldn't want this delicious berry colored piece in her bedroom? Well, pink haters, I guess, but forget about them. This one is too cute. UPDATE July, 2013: This gorgeous pink piece went to a young lady in Texas, who asked that I paint her initial on the quatrefoil. I was happy to make this her own! This piece is featured on the popular Project Nursery blog! Join City Girl Arts on facebook.